With the initiative of IDEA Public Union, the seminar on the theme of “Transition to the use of alternative and renewable energy resources: the world experience and implemented activities and perspectives in Azerbaijan” was held at the IDEA Resource Center at the Academy of Public Administration under the President of the Republic of Azerbaijan, on December 4-5, 2014. The seminar, with participation of 30 youth studying or working in this sphere, was conducted by the specialist of the State Agency on Alternative and Renewable Energy Resources. During the seminar, professional attitude to economic an[09:56:49] Ayshan Guliyeva: IDEA organized a seminar on “Transition to the use of alternative and renewable energy resources: the world experience and implemented activities and perspectives in Azerbaijan”d ecological favourableness of renewable energy was presented to the participants. Moreover, participants were informed on the experience of the developed countries in usage of alternative and renewable energy resources, and activities implemented for the development of this sphere in our country. The seminar caused great interest of the participants. 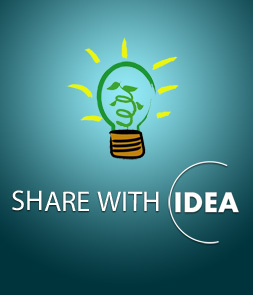 According to the annual plan, IDEA organizes seminars and conversation clubs at the Resource Center at the Academy Public Administration. Announcements of such events are posted on Public Union’s facebook page (https://www.facebook.com/ideacampaign.org) in advance.